Dallas Young Actors Studio’s Youth Filmmaking Department is among the nations premiere training grounds for developing talented young filmmakers. 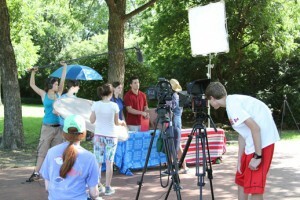 Students in the filmmaking classes develop their skill sets in an real world environment, mentored by a faculty of award-winning television producers. 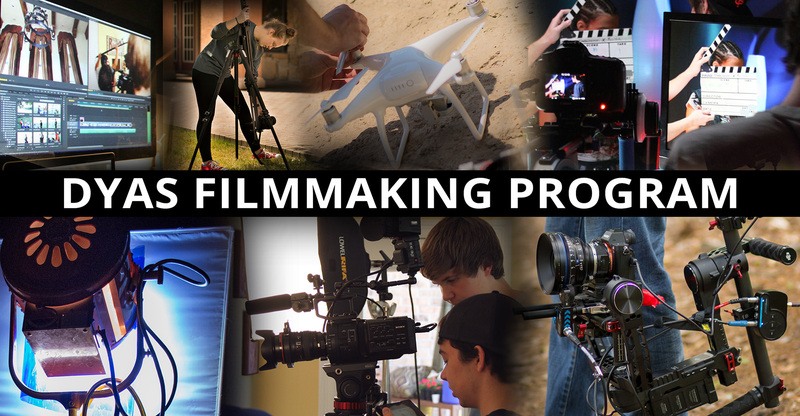 The filmmaking program has beginner through advanced filmmaking classes, so whether you are just beginning, a seasoned YouTuber, or have previous experience, we have a class to enhance your skills. The school provides hands-on experience with today’s cutting-edge media technology in a state-of-the-art production facility. Students also gain a broader perspective of TV/Film production as they study not only the technology, but also the business of filmmaking and the creative potential of art in communications, entertainment and new media. Pre-Production: Writing, Producing, Researching, Budgeting, Scheduling, Casting, Location Scouting, Set Design and Props. Production: Directing, Photography, Cinematography, Aerial/Drone Cinematography, Lighting, Sound, Wardrobe, Hair, Makeup, Special Effects Makeup. Post-Production: Editing, Sound Editing, Color Grading, Graphic Design, Marketing, Press Releases. Projects/Internships: Journalism, Vlogs, Short Film Productions, Feature Film Productions and Live Shows. 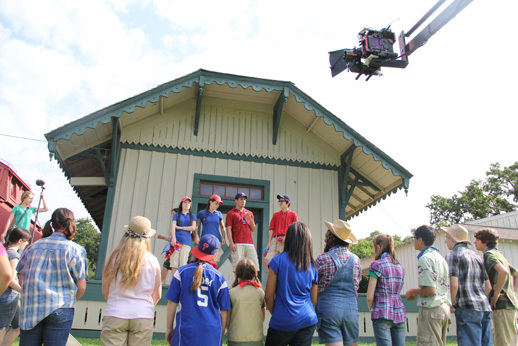 Teen Producers work on DYAS Production such as Short Films and Sitcom Shows. The Sitcom Show are filmed in front of a Live Studio Audience on a real soundstage with multiple cameras, live sound design, sound effects and switched live. DYAS Short Films provide students the opportunity to learn camera, sound, lighting, editing technique. DYAS creates opportunities for students to work on projects to be aired on Cable TV and theatrically at local movie theaters. Under the supervision of award-winning TV producers, the DYAS Acting Department teams up with the Filmmaking Department to shoot Independent Films. DYAS movies premiere at the Angelika Film Center. DYAS was at the forefront of the Entertainment Industry by being among the first production companies to produce Web Series. Those enrolled in the Filmmaking program learn to write, film and edit their own news stories in the form of DYAS video blogs.